Team HRV was started in 1989, and the all-Croatian ice-hockey team has competed in numerous leagues and tournament's since it's inception. The open-age men's team has experienced many milestones over the years, including winning the first ever Canadian-Croatian Hockey Tournament in 1997. As a result of the interest if HRV hockey, the HRV B was started in 2008. In 2014 the younger brothers rebranded, and now compete under their new name, HCH (HammerCro Hockey). 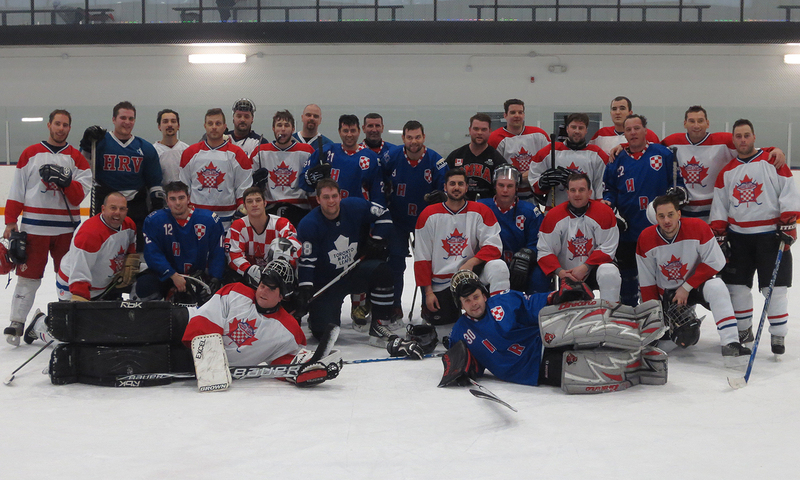 The teams currently compete during the winter months in leagues based out of the Gateway Ice Centre in Stoney Creek. There is also an annual Christmas game where the HRV takes on HCH, and all the players and fans get a chance to celebrate the holidays together with food and drinks following the game at The Club.